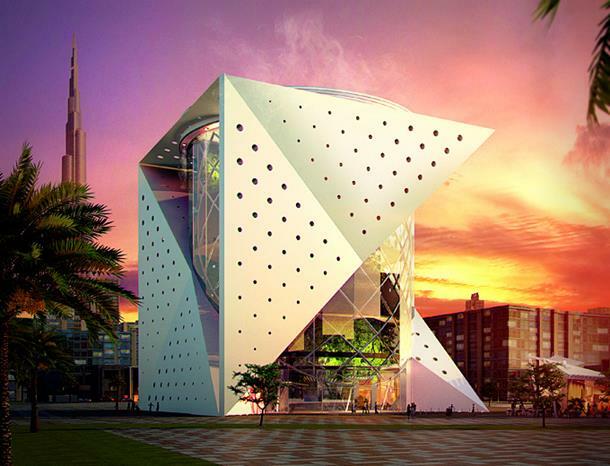 Dubai has been upping its scene and creating more attractions for a traveller. Just last year, Dubai came up with its first full-fledged, Bollywood themed park at Dubai Park and Resorts. It doesn’t come as a surprise that Dubai has stellar engineering skills. Boasting of a plethora of worlds-firsts, Dubai is, yet again, on a path to set a world record. 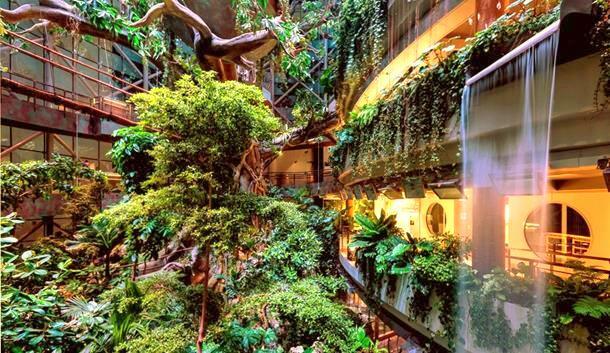 It has recently opened its first indoor tropical rainforest, Green Planet Dubai. With over 3,000 species of plants, animals and birds, it is ensured that the ecosystem thrives in the artificially created hybrid environment. The project has a huge trunk whose branches have tropical flora and fauna. 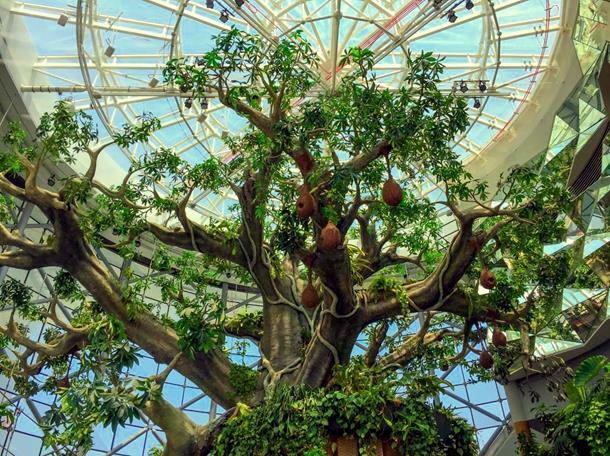 It will be the world’s largest fabricated, life-sustaining tree. The rainforest is divided into four levels - Canopy, Midstory, Forest Floor and Flooded Rainforest. Forming the sheltering roof of the rainforest, the Canopy stands tall at a height of 30-40 metres. Here is where the maximum absorption of sun rays happens. Rains are filtered to the lower levels through this canopy. This is just below the roof, so it is the place where maximum absorption of light happens. This streams in a lot of stories for environment sustenance and development. The story of the rainforest weaves a beautiful life here. Like a typical rainforest, this is the dark and quiet part of the woods. The large leaves and intertwined branches barricade the sun rays from reaching this layer. A forest is not a forest without a stream. As much as life grows on the forest floor and thrives on the branches of the trees, there’s plant and animal kingdom thriving and brooding in the waters and streams. There are aquatic plants, animals and amphibians as well. Each and every element from the rainforest is sourced from appropriate breeders and ensured that exactly similar conditions are replicated for their sustenance. The temperature here is always between 25 - 28 degree Celsius with humidity set at 70%. 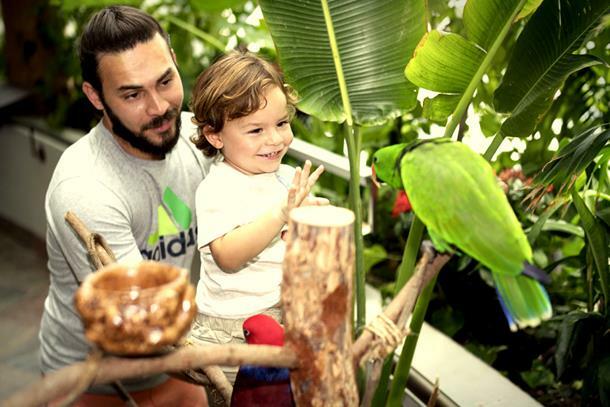 From exotic South American species like toucans, crocodile lizards, slithering tree boas to the nocturnal tokay geckos lizard, macaws, porcupines, parrots and so much more nestled inside the scientifically designed biodome. This like an oasis in the desert called Dubai. 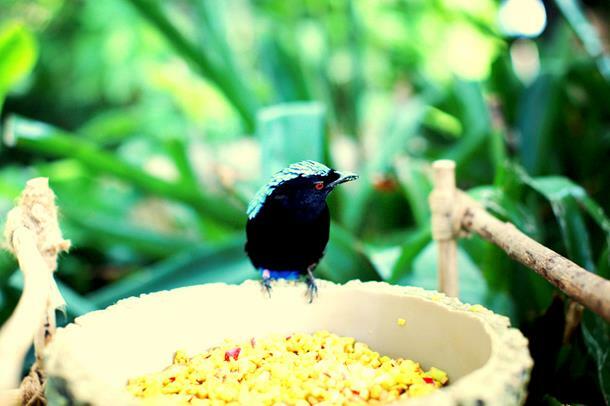 The animals and birds here are not caged and roam around freely in the lush tropical forest. Apart from the interactive and personal experience provided to children and adults alike, there are 15 educational courses to choose from. 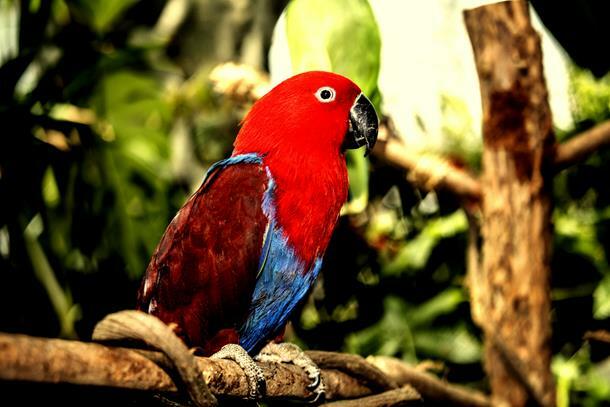 These educational courses provide and insight into the world and life of rainforests. These educational programs are aligned to the Ministry of Education, aimed at creating environmental awareness.